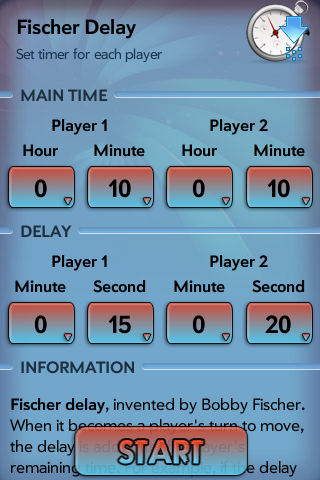 This is the first and maybe the best game clock on the Palm App Catalog. The price of this app is much cheaper than physical game/chess clock you buy at store and best of all you can carry it in your pocket! 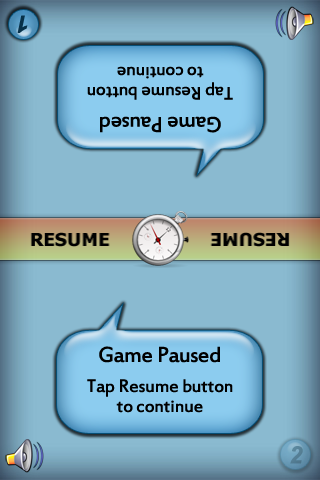 Dual timer clocks for most two player board games including Chess, Go (aka ?? Igo, ?? Weiqi or ?? Baduk), Checkers, ?? Shogi, Backgammon, Othello, and many others. Touch one clock to start the other. You can pause and resume the clock. 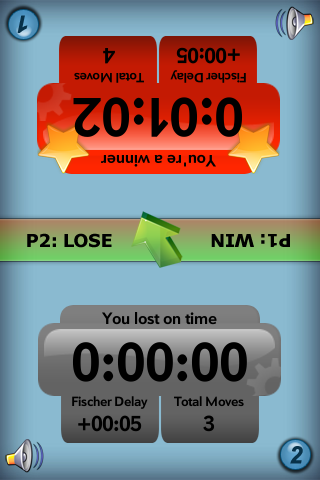 Features: * Clear display and easy to use * Set each clock independently * Highlights the currently running clock * Count total moves of each player * Pause and Resume * Option turn On/Off sound effect * After time runs out, app will show the winner * App will prevent your phone from going to sleep. 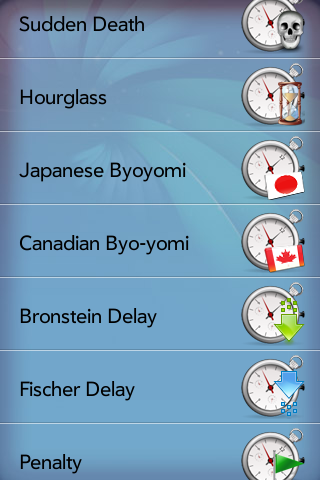 * Support all time control such as: Sudden Death, Hourglass, Japanese Byoyomi, Canadian Byo-yomi, Bronstein Delay, Fischer Delay and Penalty. 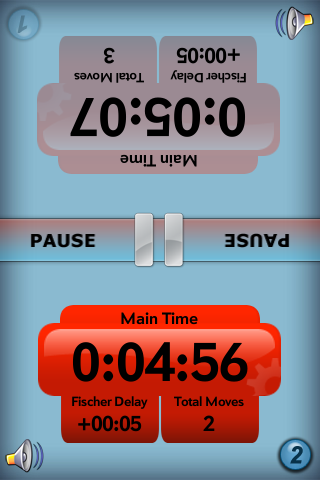 App will explain how the time control works.